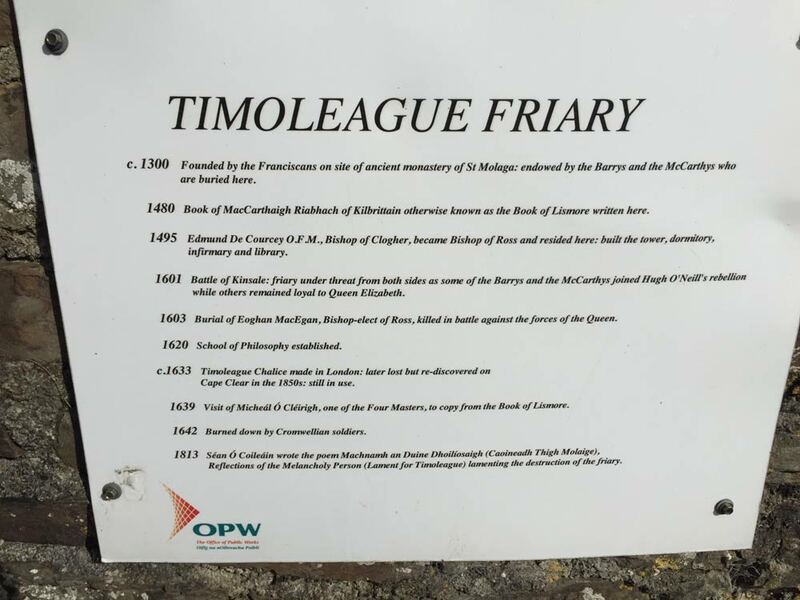 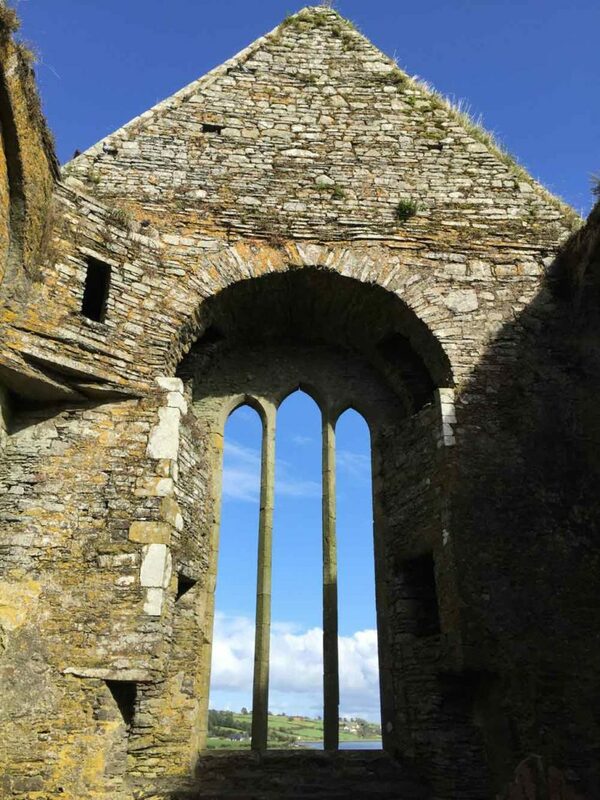 Timoleague Abbey is a 13th century Franciscan Abbey in Timoleague village on the south coast of County Cork near Courtmacsherry. 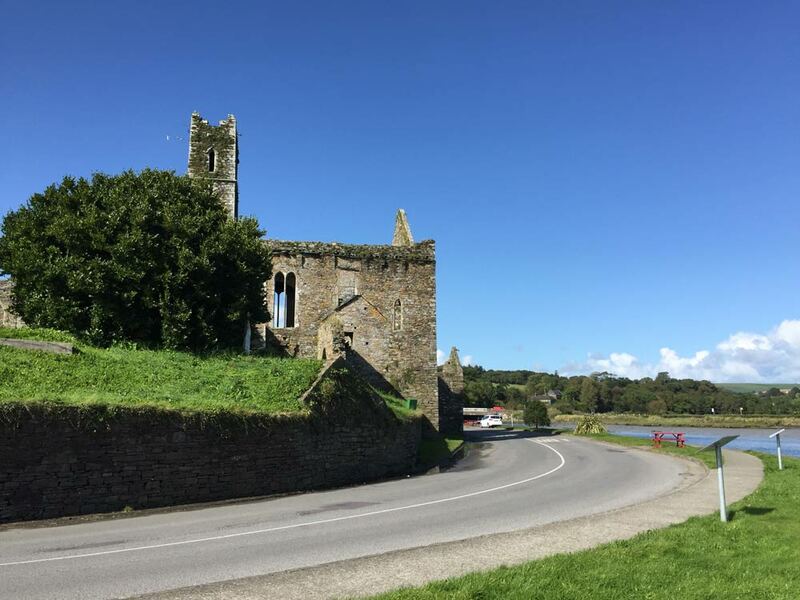 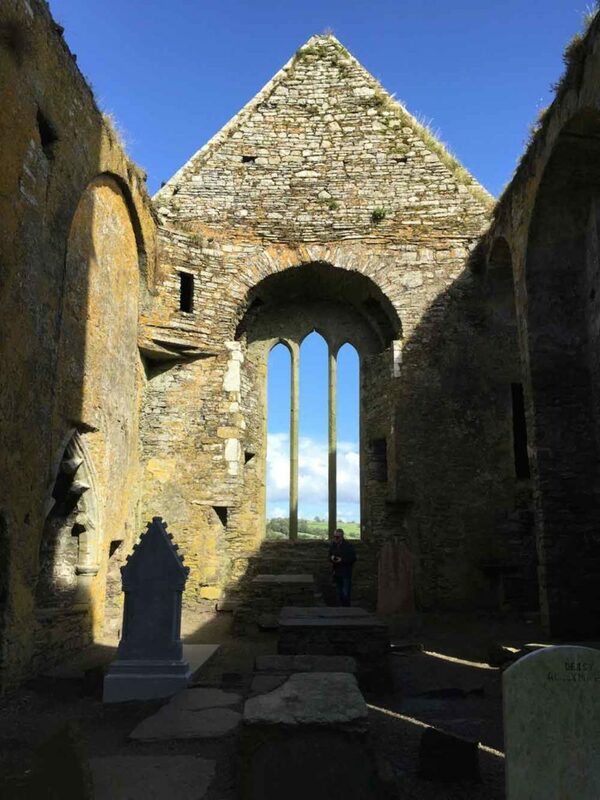 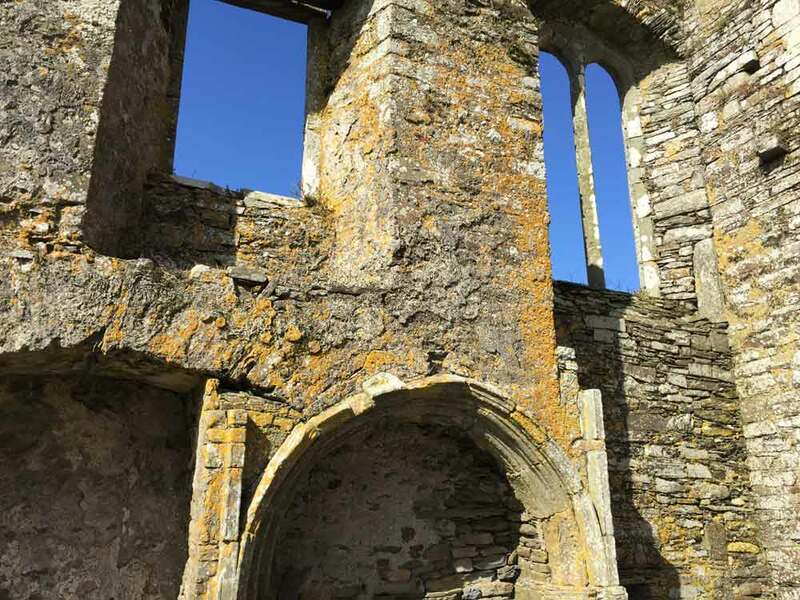 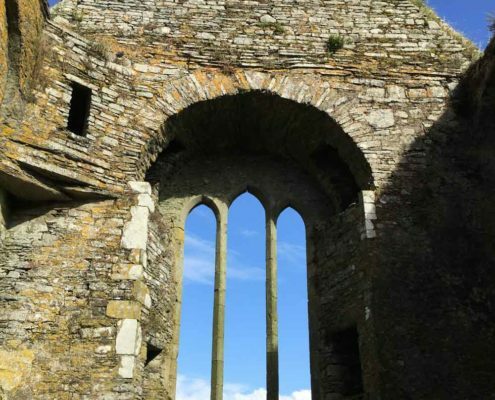 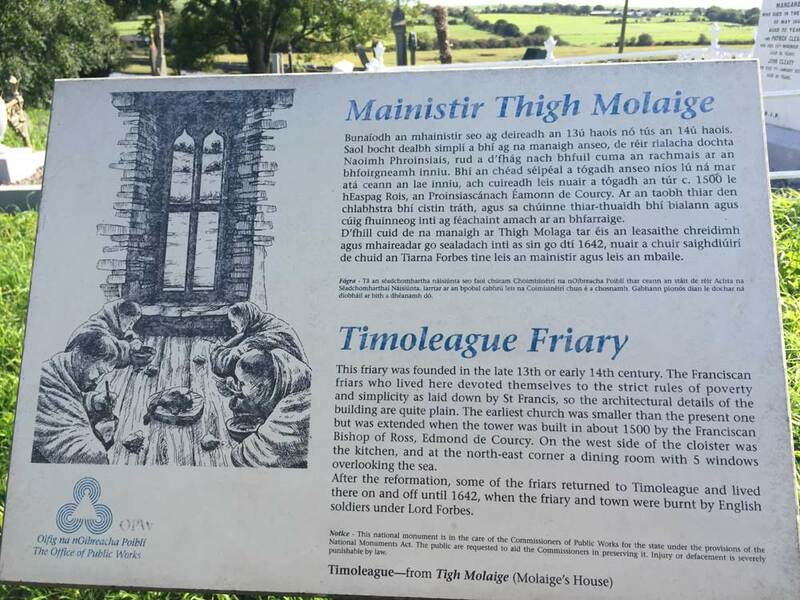 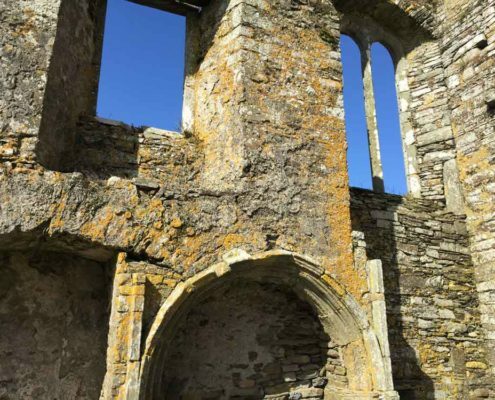 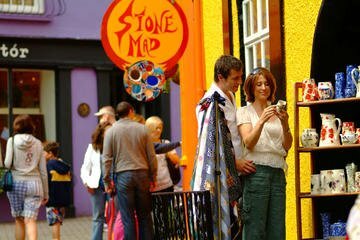 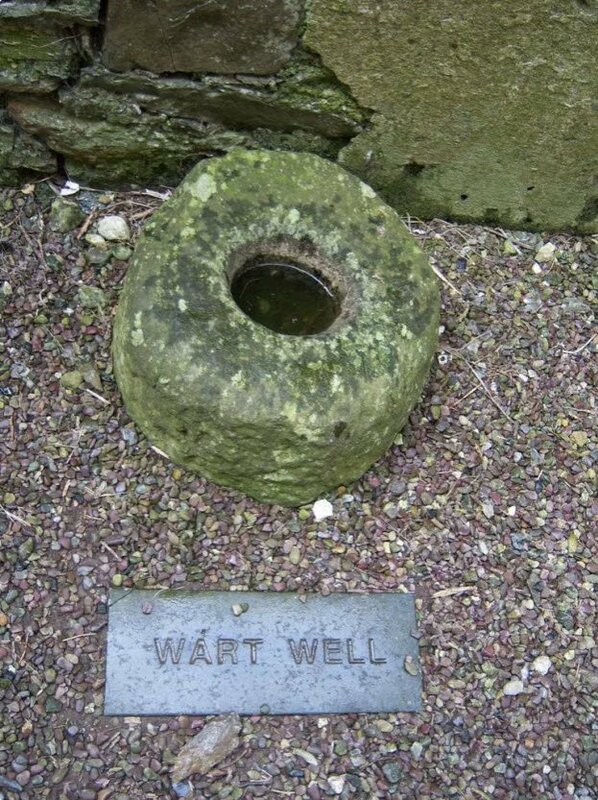 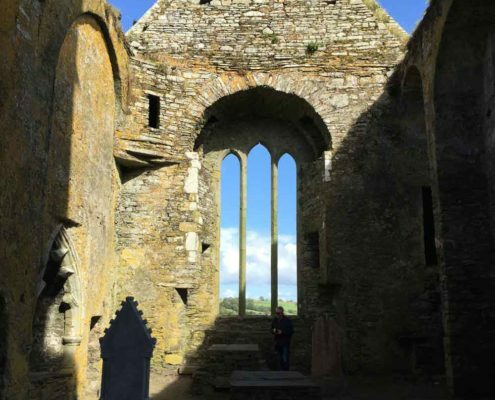 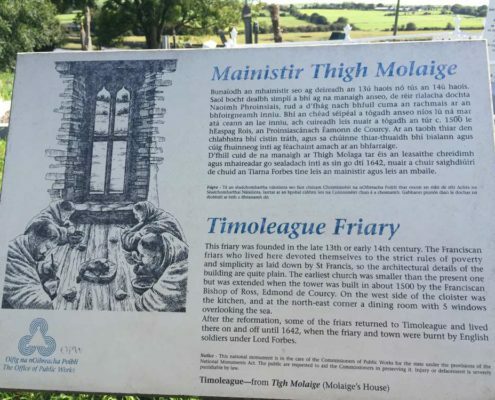 The abbey was founded in 1240 A.D., on the site of a 6th century monastic settlement founded by Saint Molaga after whom the village is named – The Irish for “House of Molaga” is ‘Tigh Molaga’. 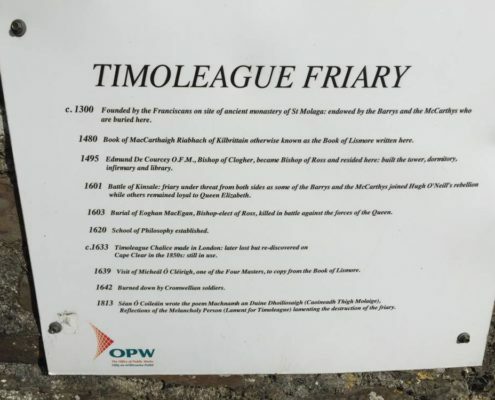 In August each year the village hosts the ten day Timoleague Harvest Festival.